Below is the biography of John Henry Brown, an American artist in the Victorian era. He was known for his variety of miniature portraits in the 18th century of the people belonging to higher classes. 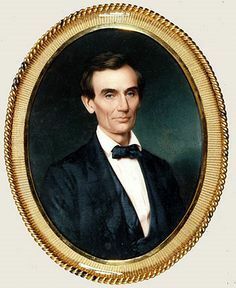 His most significant work has been the painting of Abraham Lincoln – American Statesman and President. John Henry Brown was born in Lancaster County in Pennsylvania, United States in the year 1818. He showed a flair for art at an early age and began to develop his skill by practice all by himself. His parents had a non-artistic background, unlike many other painters, regardless of which he became excellent at painting portraits and landscapes from a very early age. In the year 1836, he went to learn miniature paintings from Arthur Armstrong, a famous miniature painter in Lancaster County. After 3 years of learning, he started his own studio in Lancaster in competition to his teacher. He would paint around in the county of Lancaster as a young boy and earned some income. His actual professional career only began at the age of 27 when he moved to Philadelphia in the year 1845. Philadelphia was another center for art in the United States in the Victorian Era. There, he received numerous contracts of painting miniature paintings on ivory of high officials and the people of the upper class. He received large commissions and became known across the country. In miniature painting as a genre, he was highly successful and excellent at his work. 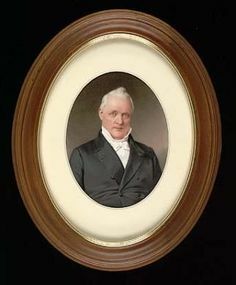 He has painted miniatures for Abraham Lincoln and also the Supreme Judge of Pennsylvania – John M Read. James Buchanan and Stonewall Jackson, have been among his major sitters. 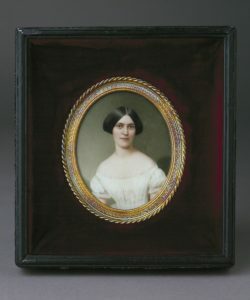 The miniature of Abraham Lincoln was used as a precious possession of Mrs. Lincoln. Many of his paintings were exhibited at Pennsylvania Academy of Fine Arts until the year 1864. He also exhibited at the Artists Fund Society. In the Centennial Exhibition of 1876, he was awarded a medal along with a diploma for ivory miniatures. He was also elected as the member of the Pennsylvania Academy of Fine Arts in 1862. Brown combined oil paintings with a mix of colors and used high embossing along with extreme detailing that gave his portraits a much photographic effect. This is what distinguished his paintings from works of other painters. His paintings were an exact replication of the person painted. 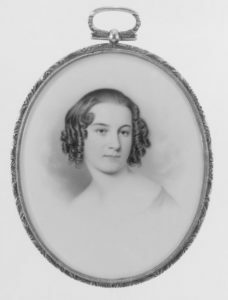 John Henry Brown married Adaline Peters in the same year he moved to Philadelphia, that is, in 1845. 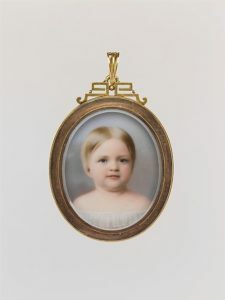 Little is known about their children but they had a daughter whose miniature portrait was made by Brown. John Henry Brown died in the year 1891, at the age of 73. He had gotten weak and frail out of old age.